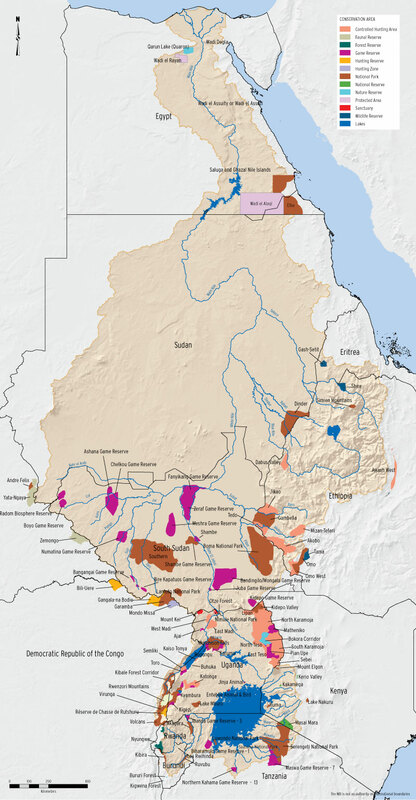 A protected area is defined as a geographical space, recognised, dedicated and managed, through legal or other effective means, to achieve the long term conservation of nature with associated ecosystem services and cultural values. Protected areas can take on many different forms, such as national parks, wilderness areas, community conserved areas, nature reserves and privately owned reserves. The Serengeti and Masai Mara national parks feature the world famous annual migration of wildebeest, zebra and buffalo. The Sudd in South Sudan features equally impressive mass migrations of large mammals. 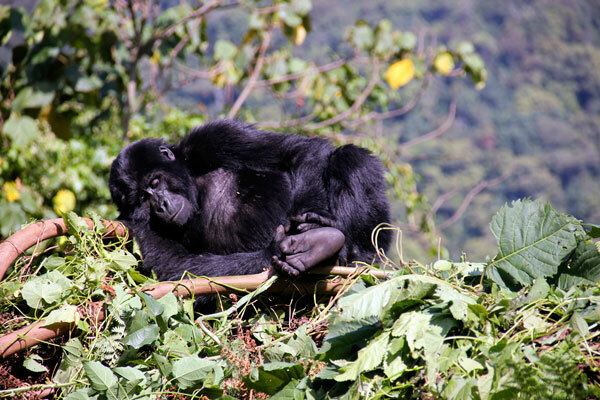 Other Transboundary conservation areas of considerable significance are the three connected national parks of the Virunga Mountain chain (Virunga National Park, Karisimbi National Park and Bwindi National Park), home to the world’s only remaining population of mountain gorilla. The Boma National Park, sometimes called – the Boma Jonglei National Park, is home to a variety of animals: elephants, giraffe and buffalo. 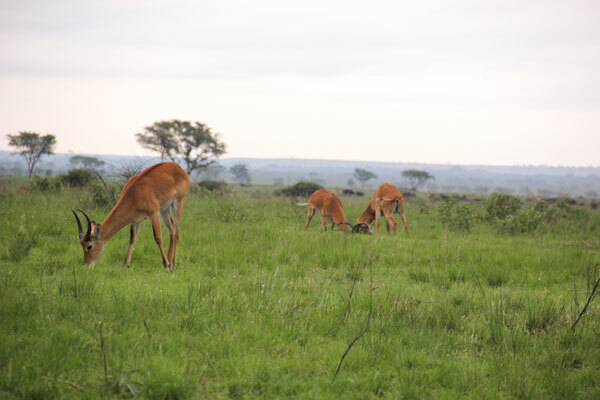 It has numerous types of antelopes like: white-eared kob, common eland, lesser kudu, Bohor reedbuck, gazelles, tiang, Lelwel hartebeest, Beisa oryx and roan. And an impressive diversity and variety of birds; most of which are migratory. Gambela National Park is located on the Akobo river system, it hosts several wildlife not found elsewhere in Ethiopia. Originally the park was created for protection of extensive swamp habitat and wildlife species.